Hi, I'm Brooke! I'm your librarian for Social Work. 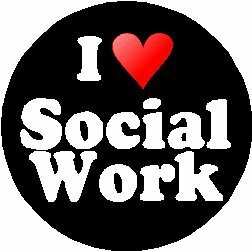 This guide is designed to help you with your assignments in SOCW 2311 Introduction to Social Work. This is a guide to selected Social Work resources available in the libraries collections and on the Internet. It also includes tips on how to search for scholarly materials and lists resources that can help you organize and document your research. To navigate, simply click the blue and orange tabs above. I've carefully picked out electronic resources to help you find background information and scholarly articles for your topics. If you need any assistance with your research, please do not hesitate to contact me! I'm happy to help via email, Skype, in-person, phone...whatever works for you! Research assignments are most effectively completed by breaking the process into steps. Books and articles not owned by UTA may be obtained from other libraries by using the Interlibrary Loan service. This is free and items will be delivered electronically to you or mailed to the Central Library for pick-up.